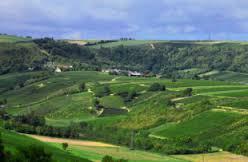 Domaine Philippe Girard is located in Verdigny, one of the most renowned wine village of Sancerre. Since the time of the French Revolution in 1789, wine has been produced on the estate. Today's generation, owns 16 acres of Sauvignon Blanc and Pinot Noir planted on Silex soils.